Amid all the reasons Melbourne is so great, we also have beaches right at our fingertips, or for the lucky ones living down south, on our doorstep. And with the weather finally warming up, there really is nothing better than an spontaneous trip down to the bay to soak up some sun, sand and salt. To help you make the most of your time down south, we’ve mustered up eight of the best venues to sandwich either side of your beach trip. From the legendary folk that brought us Moby 3143, Lenny in Albert Park does its sister venue delicious justice with an epic breakfast and lunch menu featuring dishes like cookies ‘n’ cream ricotta hotcakes, superfood salads and slow cooked duck leg with waffles. 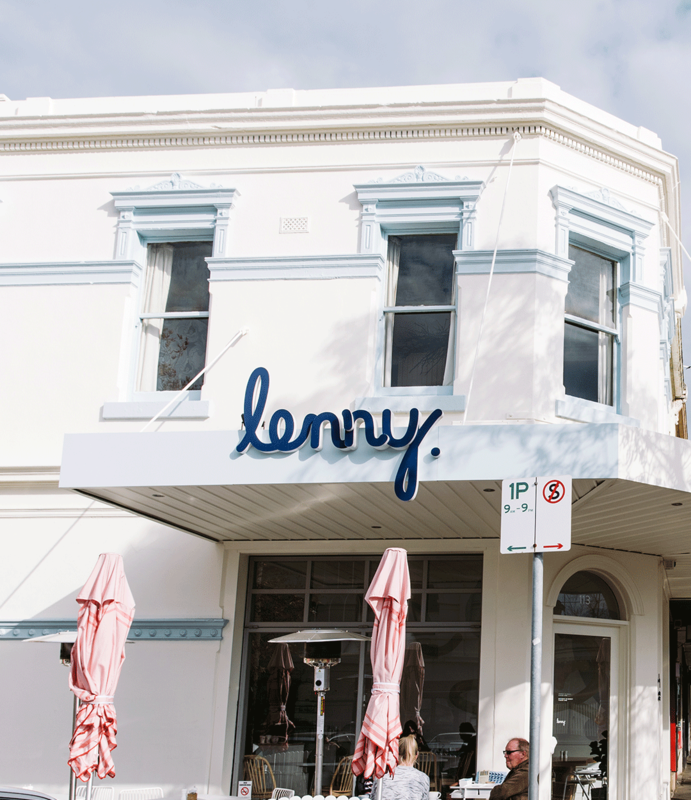 Featuring clean, light-filled interiors with refined beachy vibes, Lenny is the perfect post-swim refuel spot or pre-swim feed (just make sure to wait 30 minutes). Built in 1853, the St Kilda Pier is as beautiful as it is historic. Providing the perfect vantage point to watch kite surfers, sail boats and of course, the sunset, the pier is a must-visit when venturing down south. Head on a cocktail trail down the St Kilda bay and enjoy mouth-watering cocktails from Pontoon, Republica and Captain Baxter, finshing off with a casual stroll down the pier to watch the sun go down on another glorious Melbourne day. Having fish and chips at the beach isn’t groundbreaking, but Paper Fish in St Kilda boasts a prime piece of real estate with unparalleled beachfront views. So once you’re done with your daily dose of Vitamin D make sure to head to this delightful alfresco nook and score yourself some prawn tacos, grilled or fried fish and of course hot chips doused in their secret seasoning. Oh, they also serve ice cold beer, wine and granitas. The stunning Astor Theatre in St Kilda isn’t your regular cinema. Having opened way back in 1936, the cinema is full of old fashioned charm and is the last single screen cinema operating in Melbourne. But never fear, this place is fully air conditioned and equipped with a state-of-the-art sound system, providing the perfect place to recline with mates or a date after a solid beach day. 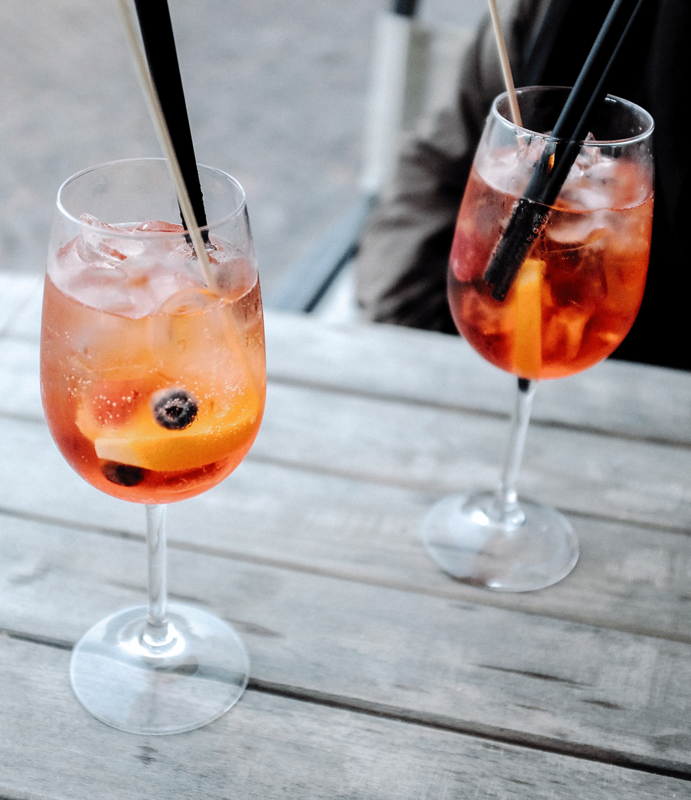 If you’ve found a better way to round out a hot day at the beach than an Aperol Spritz, please do let us know. Described as Port Melbourne meets Portofino, this Italian restaurant is the perfect segue from a salty session at the bay. Boasting a comfortable alfresco beer garden, you can sit back and relax that sun kissed skin of yours while sipping on a spritz with the perfect 3:2:1 ratio. Having only just reopened after a three-year hiatus, this historic beauty has reopened in the most extra way possible, preserving its cultural history while adding some “kick-arse Victorian grandeur”. Featuring two restaurants, a podcast studio, cocktail bar and lounge, beer garden as well as a live music space, it’s safe to say you can easily spend hours here after a dip at the beach. We love the beach, but let’s be real, it can get pretty crowded and sometimes that Australian sun of ours can do more harm than good. So what better way to round off a busy day at the beach than with a treatment at the Skin Day Spa in St Kilda. Merely walking into the reception is enough to calm you, let alone their extensive range of facials and massages. With six dog-friendly beaches in Port Phillip, it’s almost criminal not to take your four-legged-friend along with you for a splash. Making the furry family day out all the more worthwhile is The Tipsy Cow in Port Melbourne, which gladly welcomes dogs of all shapes and sizes into their courtyard. Now there’s no reason not to take your best friend along when he’s giving you those eyes. Yes, French patisseries are great, but Jewish bakery Glick’s in Balaclava is a must-visit in Melbourne. The Australian owned family business serves up freshly baked challah bread, coveted cakes and hamantashes — a triangle cookie with a fruit filling. But they are most well known for their signature boiled bagels, just load them up with your favourite sweet or savoury topping. Editor's Note: This article was produced in partnership with City of Port Phillip. To find out more about who we work with (and why! ), read our editorial policy here.